For a while when people asked how many cats I had I would respond “too” knowing full well that they thought I meant “two”. It isn’t that I’m keen on fibbing it was simply because I was so embarrassed that I have 4 cats. Trust me, when you say four you see the “Oh, you’re a crazy cat lady” look instantly hit their face. I always dreaded seeing that face. To be honest I never intended to have one cat let alone four. I was terrified of them at first. But Russell had Georgie and he was a sweet, gigantic cuddle boy. In spite of that I was still totally freaked out by him and it made it worse that he seemed to like me so much. I’d wake up with this cat half on my pillow and half on my head and some irrational part of me just knew he was trying to smother me in my sleep. Georgie soon became diabetic and started to wither away. It was sad that I only started to not be afraid of him after he became so sick. I fell terribly in love with him and was sad to watch him slip away. The vet recommended another cat to help keep his spirits up. My sister gave me a little kitten named Gracie that had been dumped on her front porch. They became fast friends and you could tell it made George happy. 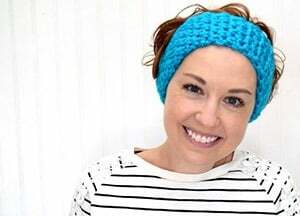 Georgie hung on about a year after Gracie came along but he finally had to be put to sleep. Needless to say three others came into the mix and now I feed every single stray and feral cat that comes along my doorstep. I’ve found homes for probably a dozen over the last couple of years. Nowadays, I freaking love cats and I’m probably pretty lucky that I’ve managed to keep the number down to ONLY four. 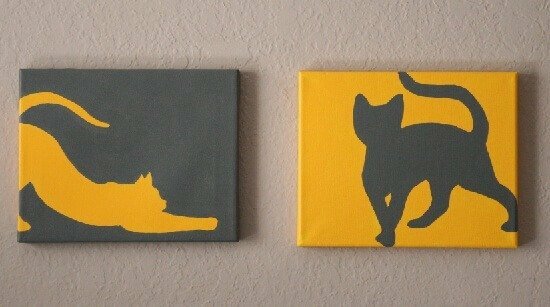 In honor of my kitty love, I made some silhouette paintings that took about an hour for both. You can too! Print your images and use them with a projector. 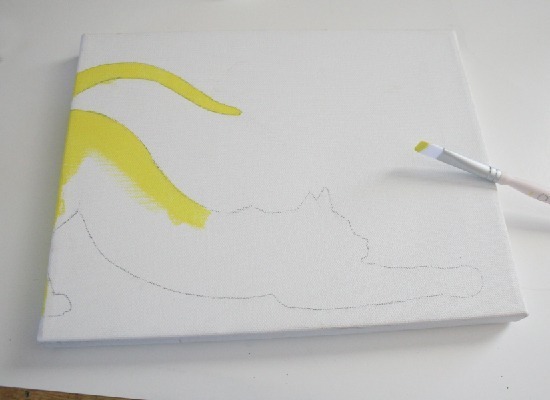 Project the shape onto your canvas and trace using a pencil. If you don’t have a projector, you can always size and print the image, cut around it and trace onto your canvas that way. 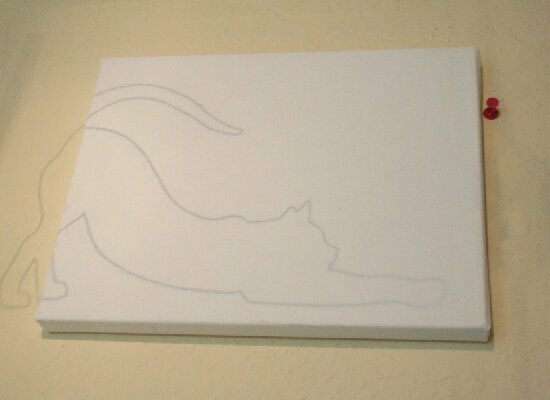 Next use your paint to fill in the cat shape and another for the negative space. I alternated colors but you could do them the same, totally different colors, whatever you dig. When dry, hang your paintings and enjoy! Oh, and by the by – Max wants you to know that it’s National Dress Your Pet Day. Don’t you love his little green tie? He’s been rolling around with the other kitties and it’s pretty furry but he’s still a dapper creature. Happy Monday! How in the world did you get your cat to wear that?! My cat would have clawed that thing off if i could even get it on him! I love that silhouette tutorial and I think i might try it out soon! Actually, Evon – I think Max is the most laid back cat ever. We had one practice day where he walked backwards for about two hours shaking his head, but after he fell asleep and woke back up he just didn't care anymore. Now he'll wear it with no problems! Hats, on the other hand are always a no go. 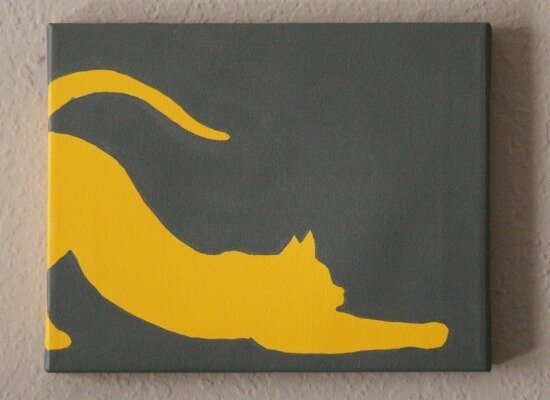 I painted the cat silhoutte on the wall…with a mouse in front of it…Every time I walk by I have to look twice. This is a fun idea with the canvases too! I love the idea of the mouse! I am way too changeable to paint directly onto my walls but that sounds awesome!! I am going to try this with my Silhouette Cameo in a vinyl, for my wall. Ooh, I would love to see the results! I have a new Cameo but I haven't quite gotten the hang of it, yet. 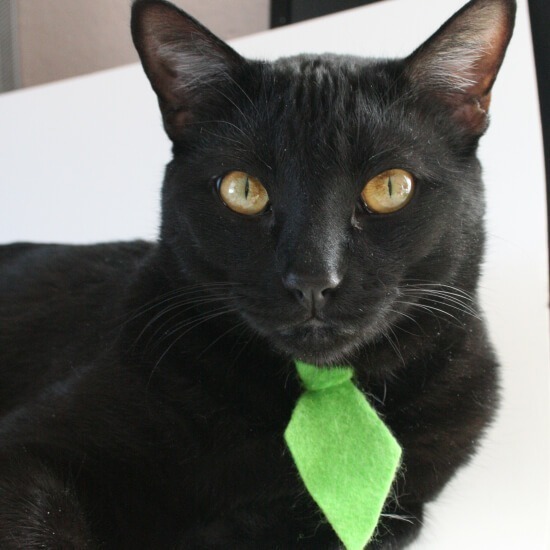 awwwhhhh your cat is so gorgeous with his green tie…how cute is that!! I love your story about how you became a catwoman. If I had it my way I´d have a dozen cats and open a sactuary for lost kiitty kats so I totally understand what you are saying. I love your little paintings of the cats too. Love your blog and the cat pictures are such a winner! Thanks, Judie. I am so glad you checked out the blog!! what a gorgeous furrrend you have in Max! Beautiful! I bet he feels like velvet. Please give your kitties an under-chin scrunch from me (or a behind the ear one, if they are that way inclined!) as I do so miss furry hugs! Also, can I give some advice- draw, draw, draw them, and then draw them again. I didn't. I never thought my drawings were good enough. But the few sketches I did of them I now love, and wish I had done more. Somehow they mean more than the best photo. Off to enjoy more of your lovely blog now! Max is incredibly, surprisingly soft but he isn't very bright but I love him like crazy anyway.